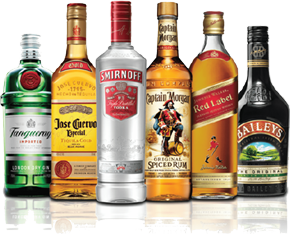 We from PartyDrinks.BG work only with chosen importers and manufacturers of high quality alcohol and soft drinks. We aim to be always one step ahead of the market and we present the best from the drinks at the best price directly to your home, office or party place and thus we save you time and money. Every order has a fixed fee for the delivery (the fee for the delivery is not dependent on the weight of the package or the count of the bottles) and the fee is a function of the deadline for the delivery which is determined from you and also the location, where we will deliver your chosen products. …and many smiles and positive mood from our team !